It was the most fearsome creature ever to have existed – a 70-foot, 100,000 pound, prehistoric great white shark. 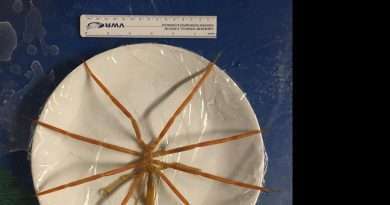 Its jaws could swallow an elephant in two bites, its senses could track a beating heart from miles away, and unlike the dinosaurs in Jurassic World, it only disappeared recently … and it could actually still be alive, inhabiting the deepest waters on our planet! 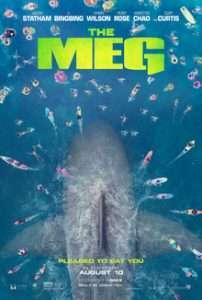 On August 10, carcharodon megalodon surfaces in theaters across the world in Warner Bros. long-awaited blockbuster, The MEG, starring Jason Statham, Rainn Wilson, and Ruby Rose. The movie is based on New York Times bestselling author Steve Alten’s novel, MEG, which tells the story of Jonas Taylor, a navy deep-sea submersible pilot who seven years earlier found himself on a top-secret dive in the Mariana Trench, the deepest, most unexplored realm in the ocean, where he crossed paths with one of these monsters. To celebrate the movie’s release, Alten’s publisher, A&M Publishing, is releasing an all-new trade paperback of the novel, along with a special bonus prequel. 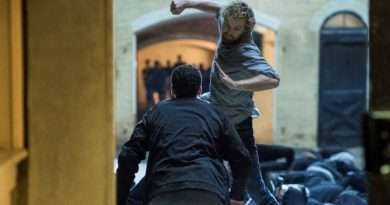 Just as fascinating is Alten’s personal story about how MEG finally came to the big screen after having been optioned and cancelled by two studios while Alten fought over multiple scripts, wrote five sequels, and endured 20 years of frustration. Alten is the New York Times bestselling author of 18 thrillers, including the MEG series. He is also the founder and director of the nonprofit Adopt-an-Author teen reading program. MEG is being used in thousands of high schools across the country. For more information, visit www.stevealten.com. For the trailer of the upcoming movie, visit https://www.youtube.com/watch?v=bsLk0NPRFAc.